The vinyl chess board is a less expensive type of demo board for those who are really on a tight budget. It has all 32 chess pieces, 16 in red and 16 in black, which fit into the board through slots cut into the board material. 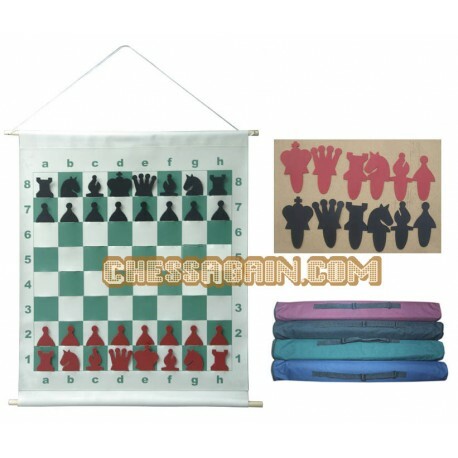 These boards are great for teaching, group analyzing, or displaying tournament chess games in progress. The demo board features 3" squares and large pieces. 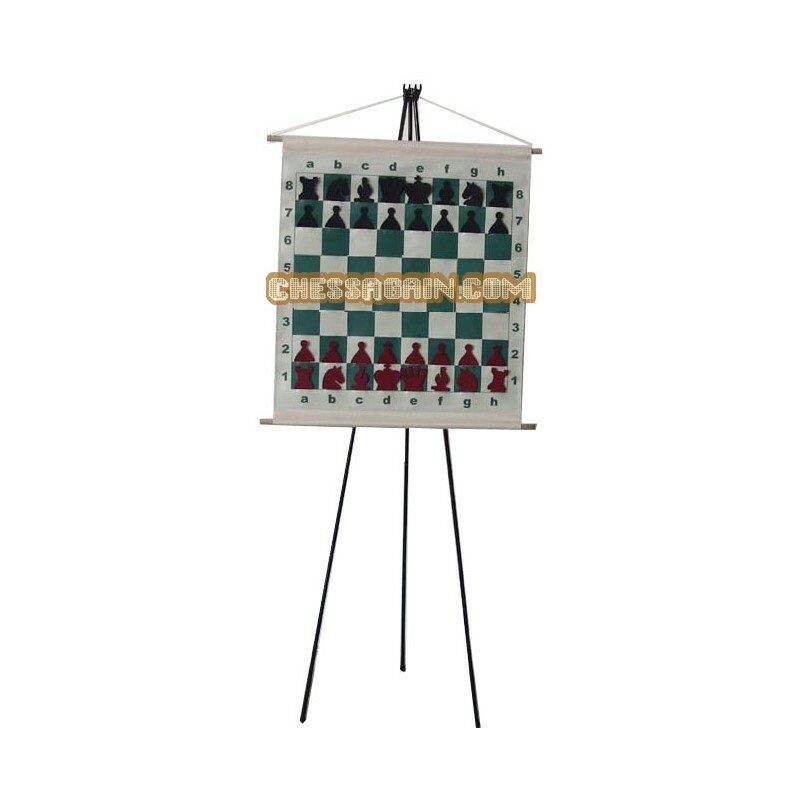 Two wooden dowels give the board support at top and bottom while a strong cord allows the chessboard board to be hung up almost anywhere.